Access key printer functions and settings with the 4.3" customizable touch screen LCD control panel. 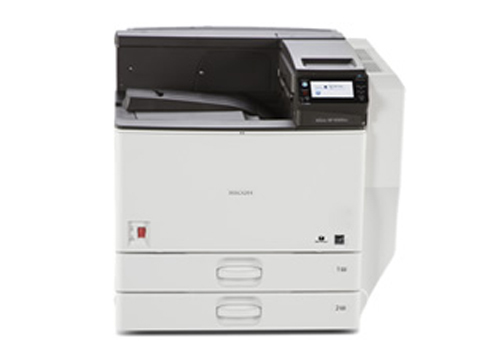 Plus, the control panel is equipped with an Eco Night Sensor to save energy by automatically turning the printer off or placing it into Sleep mode after the room goes dark. 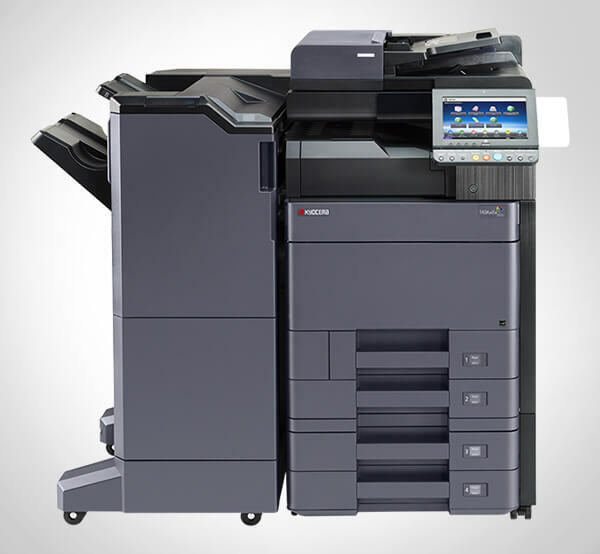 Take advantage of out-of-the-box network connectivity and share versatile print performance with other authorized users on the network. A standard USB 2.0 high-speed interface can connect to a single PC in environments where tighter control over device access and printing is necessary, including sensitive customer accounts, invoice printing and host-based reports. In addition, an integrated USB Host Port and SD Card Slot are located on the side of the control panel to provide easy access for printing from portable media. Authentication requires users to enter a login or password at the printer's touch screen control panel. The optional 120 GB hard disk drive enables features like locked print, hold print, store print, unauthorized copy control and other related security features to maintain confidentiality. With the optional hard disk drive, built-in encryption guards against unauthorized access of stored data by unauthorized users. In addition, the SP 8300DN offers other standard and optional administrative features, including @Remote for automated meter readings, fleet reporting and proactive support to help reduce operating costs.